Reviewing Midpoints: Mathematically it is the point between two points. For example if someone has a 15 (15) degree Aries Sun and a 23 (263) degree Sagittarius Moon their Sun/Moon midpoint would be 139 or 19 degrees of Leo. 15 + 263 = 278 divided by 2 = 137 or 19 degrees of Leo! Another example Sun is 21 Aquarius (321) = Moon 15 degrees Scorpio (225) = 546 divided by 2 = 273 or 3 degrees of Capricorn. In this post the personal midpoints will be discussed, starting today with the Midheaven. These are ways in which you can get to know yourself or your client better. Midpoints are a wonderful way to understand astrology and how it works in our lives. For predictive astrology it can be a fun study to look at the Sun/Sun midpoint of any event or situation. Even in relationships knowing these midpoints can be helpful to better understanding the relationship. Looking at the natal chart there are plenty of personal midpoints that can be looked at and studied. For further information I would love to recommend my teachers book, “Architects of Time” by Martha Lang Wescott. From pages 106 through 109, she describes these midpoints and what they represent. In these posts we will break down the Midpoints starting today with the Midheaven. The Midheaven Midpoints are listed here in summary. Midheaven/Aries Point: Considering that the Midheaven is our social status and what and who we present to the outer world. The Aries Point in the world, so it is naturally who we are in public. It refers to our own contact with the greater world. Midheaven/Ascendant: Here the Ascendant relates to the environment. The Midheaven adds the idea of how well we deal with those daily demands and routine. It can tells us more about who we are and how we got here. It describes how effective we deal with those expectations, how ambitious or driven we are. Midheaven/Sun: Here we can see how satisfied we are with life. The Sun is what drives us and the Midheaven our social standing. This energy is about personal fulfillment and what can be achieved. It can also relate to the relationships with those who are in charge of us, people such as our bosses or fathers. 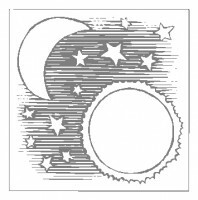 Midheaven/Moon: The Moon is about the emotions as well as emotional security. But the Moon also represents the public and women in general. We are looking at things such as what it takes to prove oneself. It will be here that you can see and study the impact of that outer life or career. It is our validity and credibility and whether or not we can emotionally establish ourselves. Midheaven/Node: Nodes are our connections and contacts. Timing is related to the Nodes. Nodes are those people we are acquainted with but don’t really know that well. It is about the connections we make with others and role we play in the lives of others. It is about demonstrating what we can do through our work or goals that connects us with those we work with. The remaining Midpoints will come in later posts they are, Ascendant/Aries Point, Ascendant/Sun, Ascendant/Moon, Ascendant/Node as well as Sun/Aries Point, Sun/Moon, Sun/Node, Moon/Aries Point, Moon/Node and Node/Aries Point.